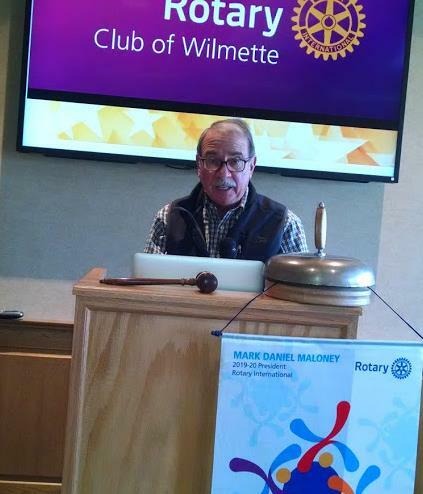 The Rotary Club of Wilmette was chartered in 1924 with 21 members. Today there are over 50 active members who gather to do good for others while enjoying good fellowship. 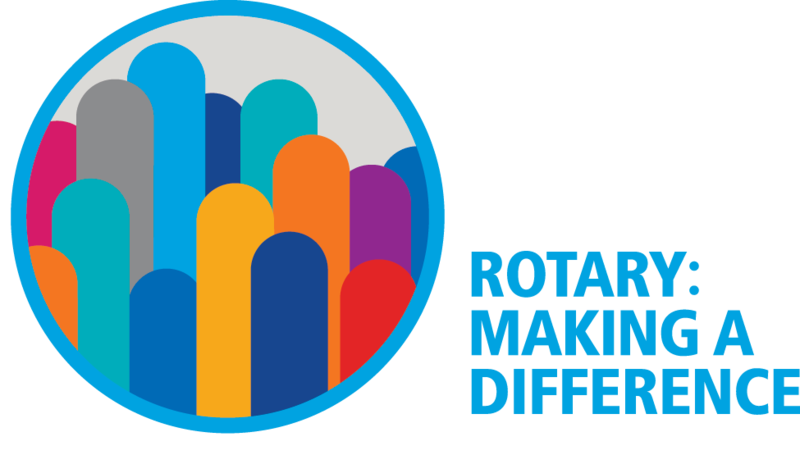 Our Club members enthusiastically live the Rotary motto of “Service Above Self” both locally and internationally. Recent projects include water wells installation at two schools in Zambia, the collection and delivery of over 22,000 books to schools in Chicago, and sponsoring the annual Thanksgiving Dinner for seniors at the Wilmette Park District. We meet Wednesdays at 12:15 PM at the Wilmette Golf Club, 3900 Fairway Drive, Wilmette, IL 60091. 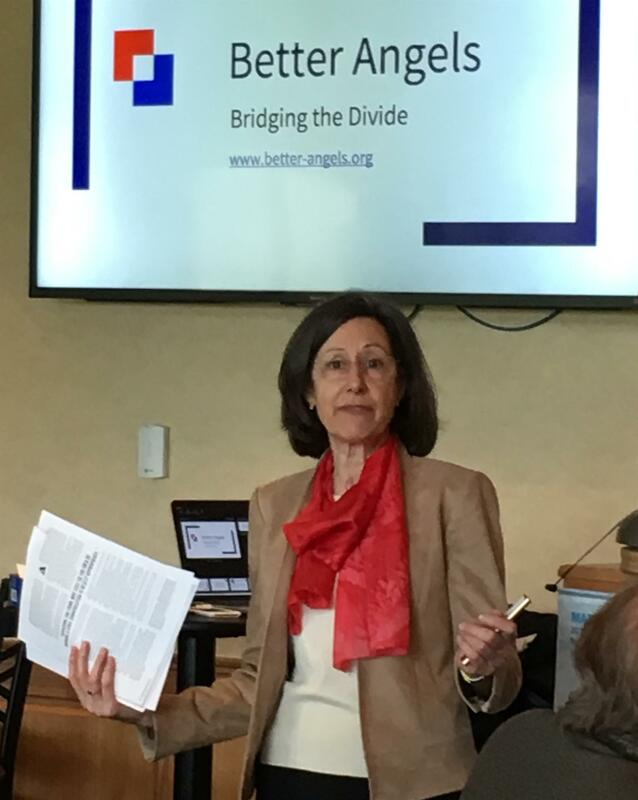 Sharon Kristjanson, founder of SVK Intercultural, a consulting firm specializing in skill development for leaders, visited the April 17, 2019 meeting of the Club to talk about Better Angels, "a citizens’ organization uniting red and blue Americans in a working alliance to depolarize America." The name of the group comes from Abraham Lincoln's first inaugural address. Better Angels offers workshops and skills training sessions aimed at helping people learn ways to have respectful conversations with people who disagree on political isssues. There are two upcoming opportunities to take part in these sessions in Evanston during May. 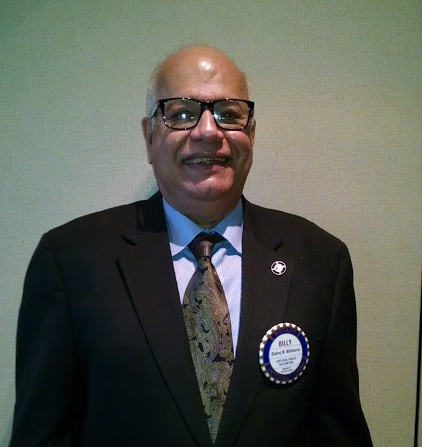 Long-term Rotary Club of Wilmette member Billy Billimoria visited our luncheon on April 10th. Over the decades, he spearheaded 28 service programs for our club, mostly serving India, including the $2.5 million water treatment plant in his hometown. Billy attends Rotary meetings in Billimoria, India, when he is not in Wilmette and was recently honored with a plaque. Dr Abramson is an internist and endocrinologist as well as the Executive Director of Old Irving Park Community Clinic (OIPCC). Dr. Abramson attended Northwestern University and the University of Illinois College of Medicine at Chicago. She became the OIPCC volunteer Executive Director in 2014. 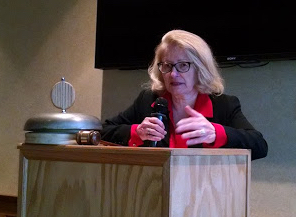 At the March 27, 2019 meeting, the membership committee presented an overview of our 95-year-old club including great past activities and historic membership trends. They outlined an energized campaign to attract new members and called on everyone to join in. They said that members share responsibility for maintain a vibrant and energetic club. It is our responsibility to keep the numbers up. Whether you are a long-time member or just considering membership, we welcome your enthusiasm and participation! 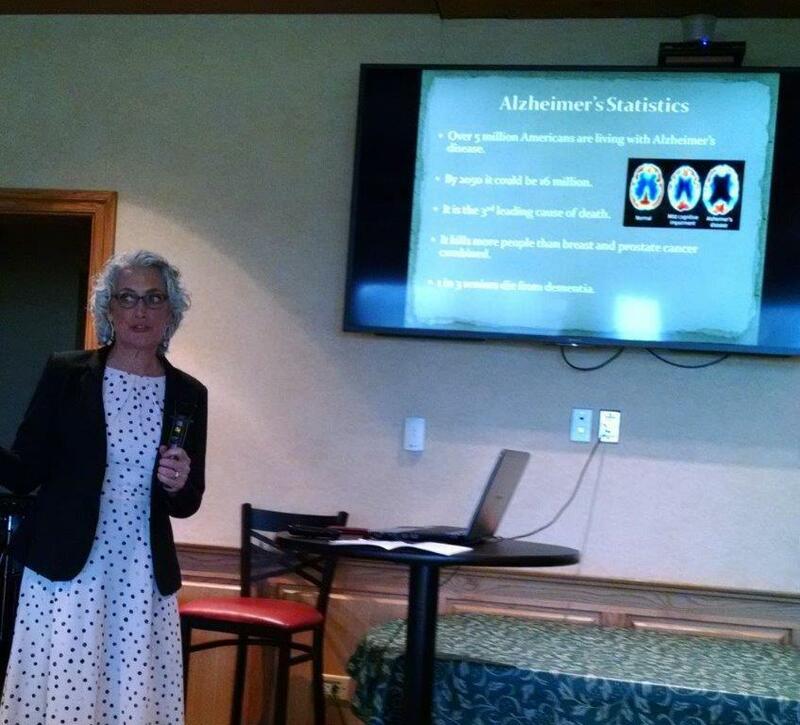 On March 20, Jill Kennon, RN, spoke at length to Club members about Alzheimer's Disease, which affects a growing number of seniors. She outlined lifestyle and medical interventions that can prevent, treat and sometimes even reverse the affects of this devastating illness. 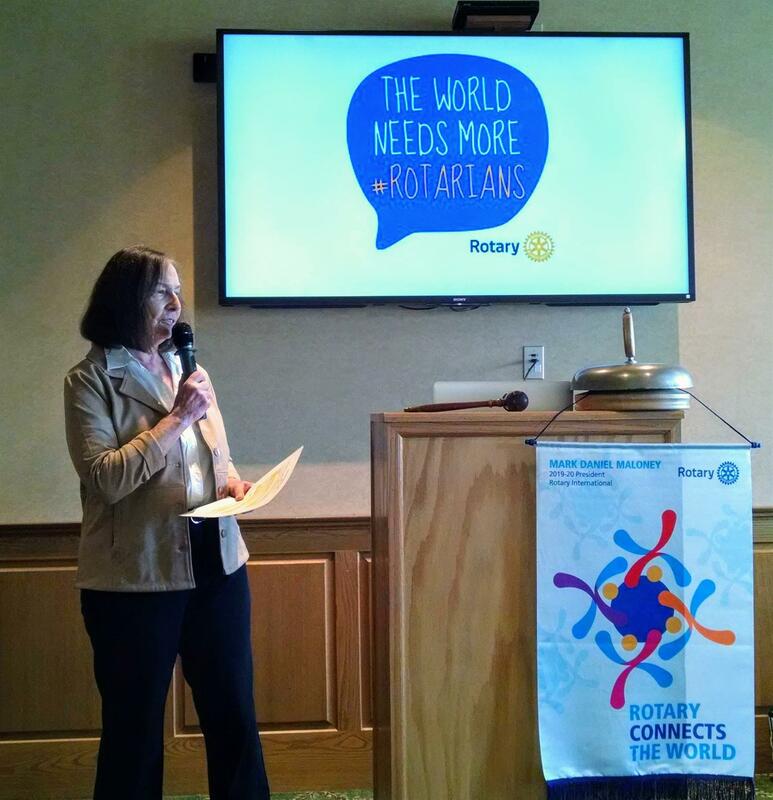 Want to know more about the Wilmette Rotary Club? Visit us on Facebook or email your name and contact info to us using the links below.